Based on a novel by Rick Yancey, 2016�s The 5th Wave offers a new take on an old sci-fi genre. We meet a teen named Cassie Sullivan (Chloe Grace Moretz) and see how her life changes when alien ships take up residence over her town. After 10 days, �The Others� strike the humans with an electromagnetic pulse that knocks out virtually all technology. Three more waves of attacks follow, and these decimate much of the planet. Through all this, Cassie manages to survive. As she prepares for an even deadlier fifth wave, Cassie tries to stay alive and also to find/rescue her little brother Sam (Zackary Arthur). When I first saw the trailer for Wave, I thought it would tout the 2016 Independence Day sequel. Both films share obvious similarities, so I can�t imagine I�m the only one who initially viewed Wave as part of the Independence Day franchise. One major difference separates the two, though: money. Wave cost a mere $38 million, which seems like chicken feed in 2016 � and is only half of what the original Independence Day spent 20 years ago. From what I understand, the 2016 Day sequel cost $200 million, or more than five times the budget of Wave! When an ambitious sci-fi action flick enjoys a budget only half of what the state of the art cost two decades earlier, that doesn�t seem promising. Obviously money doesn�t guarantee a good movie � there are plenty of awful super-expensive films out there � but with something such as Wave, the lack of funds creates a problem. That�s because the budget can�t support the universe and story Wave wants to tell. On the occasions it attempts large-scale scenes � such as an enormous wave that swallows a city � the effects appear cheap and unconvincing. Most of the time, though, Wave avoids these potential drawbacks and simply eschews visual effects. Sure, we get occasional shots of that sort, but they seem surprisingly infrequent given the nature of the story. Honestly, I can�t think of a modern alien movie of this sort that offers so few glimpses of actual aliens. Perhaps I should view that as a refreshing change � and I might, if this story point reflected an organic choice. But I don�t think it did � I strongly suspect Wave avoided aliens and attacks and whatnot because the filmmakers couldn�t afford to pull off those sequences. And that becomes a major drawback. It reminds me of the line from Jurassic Park when Ian Malcolm asks if there will eventually be dinosaurs during the dinosaur tour. What�s an alien movie without aliens? Perhaps some of this stems from the nature of the source material. In novel form, Wave exists as the first part of a trilogy, so maybe subsequent movies would�ve been more action-packed � and maybe if Wave had done well, those films would�ve gotten enough money thrown at them to bring those visions to life in an adequate manner. Alas, Wave sputtered to a poor $34 million take in the US. Sure, it creaked to $107 million worldwide, which means its cheap budget may�ve allowed it to turn a small profit, but those financial figures don�t bode well for subsequent entries in the series. Even if the filmmakers go for the next chapter, I can�t imagine they�ll give it the budget it needs to live up to expectations. It doesn�t help that Wave usually feels like little more than a collection of characters and themes from other �Young Adult� dystopian adventures. Does Wave do anything to differentiate itself from your Hunger Games or your Divergent or your Maze Runner? No � it all feels stale and trite, especially when the movie indulges in the compulsory, unnecessary romantic elements. Whether Wave fails due to its low budget or due to its derivative nature and lack of creativity, it doesn�t matter in the end. A flop is a flop, and Wave flops. The movie comes with potential but it ends up as nothing more than an unimaginative snoozer. The 5th Wave appears in an aspect ratio of approximately 2.39:1 on this Blu-ray Disc. Across the board, the transfer seemed positive. Overall definition worked well. Any softness was minor, as I found an image that almost always seemed tight and accurate. I saw no shimmering or jagged edges, and the image lacked edge haloes or print flaws. Like many modern action flicks, Wave opted for a mix of orange and teal. These choices remained clich� but the transfer replicated them well. Blacks were deep and dark, while shadows showed nice clarity for the most part; a couple low-light shots appeared a bit dense, but not to a significant degree. Overall, the movie looked quite good. I also felt consistently pleased with the strong DTS-HD MA 5.1 soundtrack of Wave. With an emphasis on action, the soundscape used all the channels on a frequent basis. The various speakers provided lots of information that filled out the movie and blended together in a seamless manner. This formed a dynamic soundscape with a lot to offer. In addition, audio quality seemed strong. Music was bold and full, and dialogue remained crisp and natural. Effects appeared lively and vivid, with clear highs and deep lows. I felt pleased with this fine soundtrack. As we shift to extras, we open with an audio commentary from director J Blakeson and actor Chloe Grace Moretz. Both sit together for this running, screen-specific look at how they came to the project, story/character/adaptation issues, sets and locations, music, camerawork and editing, cast and performances, and related areas. Don�t expect much from Moretz, as Blakeson dominates the chat. Moretz tosses in an occasional nugget, but she usually simply echoes Blakeson�s remarks. And that seems fine, as the director covers the movie in a fairly satisfying manner. He touches on a good array of subjects and moves the track along well. While this isn�t a great commentary, it proves to be satisfying. 11 Deleted Scenes fill a total of 25 minutes, 10 seconds. A lot of the added material revolves around Sgt. Reznik and the kids� combat training. I can�t say this footage would�ve improved the movie, but it does flesh out Reznik better and it gives the youngsters more development. Otherwise, the scenes tend to be forgettable. The ones that don�t relate to Reznik or the warrior kids provide minor exposition and little else. Next we get a Gag Reel. It lasts three minutes, 17 seconds and boasts the usual goofs and giggles. Not my cup of tea! Five Featurettes occupy a total of 34 minutes, 41 seconds. 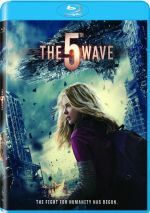 We find �Inside The 5th Wave� (14:26), �Training Squad 53� (5:09), �The 5th Wave Survival Guide� (2:11), �Sammy on the Set� (6:57) and �Creating a New World� (5:58). Across these, we hear from Moretz, Blakeson, producers Matthew Plouffe, Lynn Harris and Graham King, executive producer Denis O�Sullivan, visual effects supervisor Scott Stokdyk, production designer Jon Billington, art director A. Todd Holland, stunt coordinator Joey Box, director of photography Enrique Chediak, camera operator Jeff Crumbley, costumer Ren Heeralal, grip Matt Alexander, still photographer Chuck Zlotnick, and actors Alex Roe, Nick Robinson, Liev Schreiber, Maika Monroe, Tony Revolori, Nadji Jeter, Flynn McHugh, Talitha Bateman, Cade Cannon Ball, Alex MacNicoll, and Zackary Arthur. The featurettes look at story/characters, cast and performances, various effects, sets, locations and production design, stunts and action, training, and alien design. �Inside� offers the best collection of insights, but �Creating� also seems satisfying. �Training� and �Sammy� have their moments as well, but �Survival� lacks much merit. The disc opens with ads for Pride + Prejudice + Zombies, Money Monster, The Driftless Area and Ratter. No trailer for Wave appears here. With an ambitious science-fiction tale to be told, I had high hopes that The 5th Wave would provide an exciting experience. However, the movie suffers from issues that make it less than satisfying, primarily because it bites off more than its low budget allows it to chew. 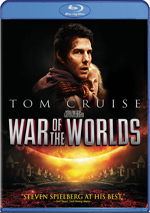 The Blu-ray presents very good picture and audio along with a quality collection of supplements. Wave feels like recycled bits and pieces of other movies.